Perfect for drinking water refills when travelling, camping and festivals, and folds up nice and small. Big capacity for 5 Litres. 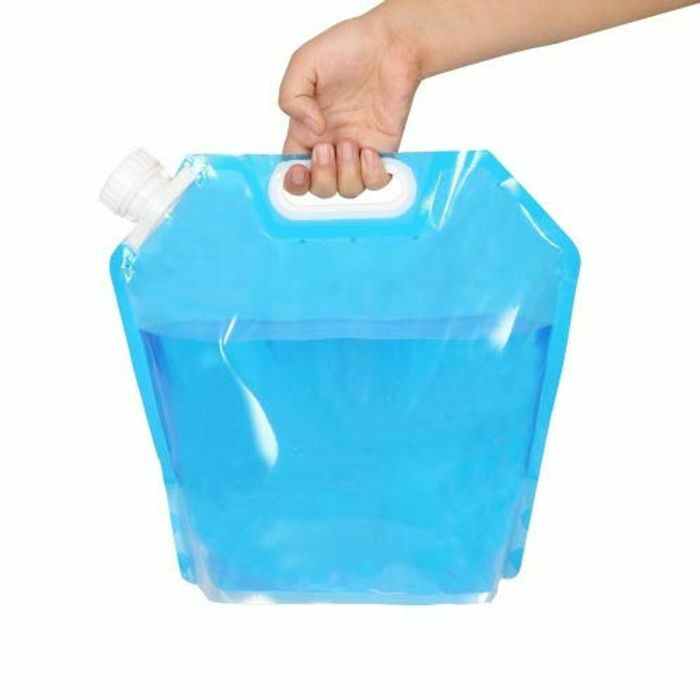 10L Drinking Water Container : £1.89 with free delivery! This will be handy for when we go camping, thanks for sharing it. I'm almost certain you can get this in Poundland. I know in my one they have these. This is a really fabulous idea. Thanks so much for sharing! Would be great on camping trip so thank you so much. This is a really good idea for anyone going camping. Thank you very much for sharing. Bought one previously and it lasted a weekend before it leaked all over the back of my car. Buy cheap, buy twice!